Xiaomi didn't announce the full set of Redmi 6 devices all at once, so we had to settle for the regular Redmi 6 and the budget Redmi 6A. But that doesn't mean that the Pro version of the Redmi 6 isn't coming. A new finding supports these claims and also hints of the Mi Max 3 and Mi Pad 4 arrival. It all makes sense now. There was a mysterious TENAA listing from last month of a notched Xiaomi smartphone with thick bezels indicating a budget device. 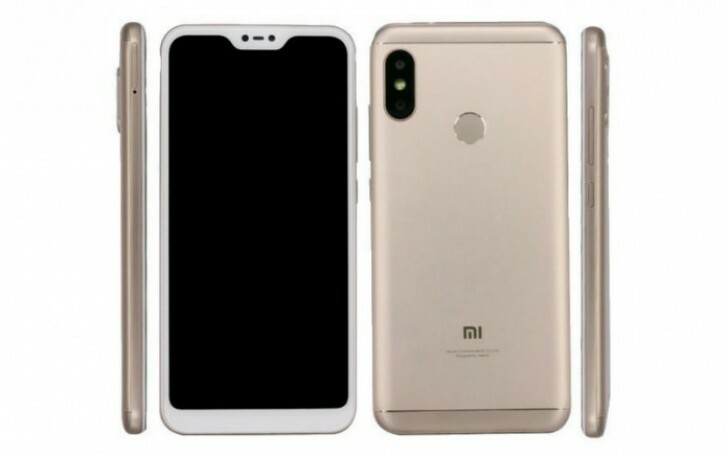 Connecting the dots would suggests that this is actually the upcoming Redmi 6 Pro. The listed reference from Xiaomi's official website further supports these claims. The TENAA document listed the key specs too - a 5.84-inch Full HD+ display with 19:9 aspect ratio powered by an octa-core processor clocked at 2.0 GHz. Since the Redmi 6A comes with Helio A22 and the Redmi 6 features a Helio P22, the Redmi 6 Pro might deliver the most powerful option of them all - the Helio P60. The memory configurations will be 2GB/16GB and 3GB/32GB. The back of the device is expected to house a dual camera setup consisting of a primary 12MP sensor and a secondary 5MP unit. All of this is going to be is powered by a big 4,000 mAh battery. Along with the Redmi 6 Pro reference, the official Mi site also reveals that the company is readying a Mi Max 3 launch, but that doesn't come as a surprise. Last month Xiaomi's CEO confirmed that the Mi Max 3 will come sometime in July. The initial rumors point at a 6.99-inch display with 18:9 aspect ratio inside a body of size similar to its predecessor. Qualcomm's Snapdragon 710 will allegedly be inside paired with up to 6GB of RAM and powered by a huge 5,500 mAh battery. Other reports claim that the Mi Max 3 will be equipped with an iris scanner and will support wireless charging, but that seems a little far fetched given the mid-range nature of the phablet. Finally, the Mi website's code lists the Mi Pad 4 as well, but as of now, information about the device is rather scarce. We only know that the tablet will probably come with a Snapdragon 660 chipset, a single 13MP camera on the back, 5MP front-facing unit and a 6,000 mAh battery. There's no word on when the Redmi 6 Pro and the Mi Pad 4 will arrive but at least nearing Mi Max 3 launch in July is something to look forward to. Notch is a big NO! Protrude camera lens is a big NO! Rounded display corners is a big NO! This is one ugly phone.